2016 was an exciting year for us. We became travel bloggers, experienced many adventures and ticked a few items off our travel wish list. Now, when we look back, we can’t believe that we really visited so many amazing places in 2016. We are very grateful for that. This is a quick overview of our favourite experiences in 2016 and our plans in 2017. You might get a few ideas for your own trips here. We started 2016 in Australia – after crossing the continent from the north to the south (Darwin to Adelaide), we followed the coast eastbound and got to Sydney at the end of 2015. 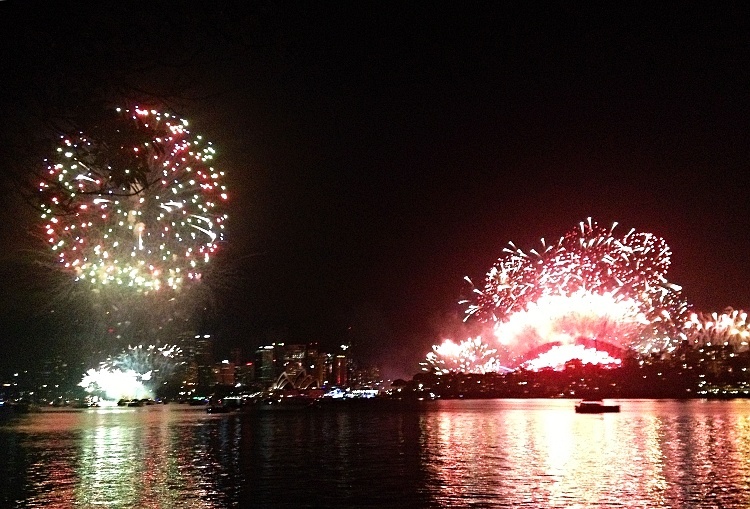 Seeing the New Year’s Eve fireworks in Sydney was our dream for a long time and it was hard to believe that we really were in Sydney, watching this famous spectacle that we had only known from TV. It was challenging to get our New Year’s Eve stay in Sydney arranged at the last minute but we managed it and made memories for life. After the celebrations of the New Year in Sydney had finished, we headed north to explore tropical Queensland. We couldn’t wait to visit the Great Barrier Reef but we weren’t sure if we should snorkel or scuba dive. Kat was a little anxious about scuba diving after her bad experience in the Philippines where she almost drowned, but we were keen to give it another try. In the end, scuba diving wasn’t meant to be. We left the arrangements until too late, and when we were ready to make the booking, diving boats were sold out. So we booked a snorkelling trip and we loved it. The corals were located very close to the water surface and there was so much to see. 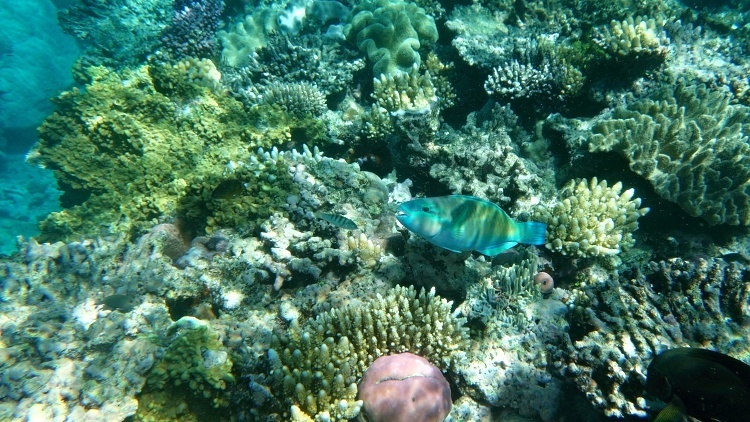 These were the most colourful corals we have ever seen – the amount of fish and other sea life was incredible. It was a stinger season so we had to wear protective suits while snorkelling but this made us feel even more adventurous. We are going to scuba dive next time. 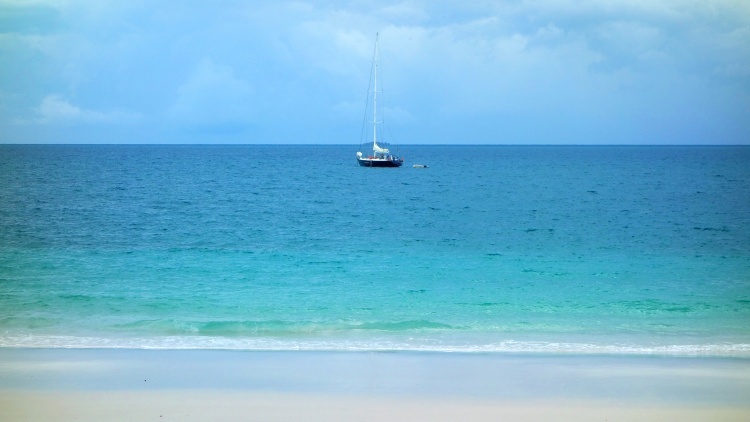 We always wanted to try sailing and the Whitsundays were the perfect place to do it. 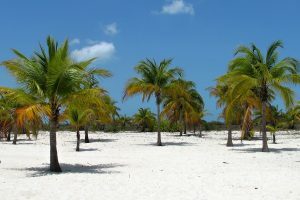 However, these amazing islands with white beaches and turquoise water didn’t come cheap. But we got lucky and found a last-minute deal for a two-day sailing on a race yacht called Freight Train. Even though Kat got very seasick on the first day, we loved the experience. Life is beautiful when you sit on the deck and feel the wind in your hair. We even managed to do the famous Titanic pose. The renowned Whitehaven Beach and snorkelling the Fringing Great Barrier Reef were other highlights of the trip. Bungy jumping (called bungee jumping outside of New Zealand) was the most intense experience from our two-month road trip in Australia and New Zealand. We had done skydiving before so we thought that bungy jumping would be a breeze. But it wasn’t – it was more difficult than we expected. The hardest part was having to jump on your own without anyone or anything you could hang on to. 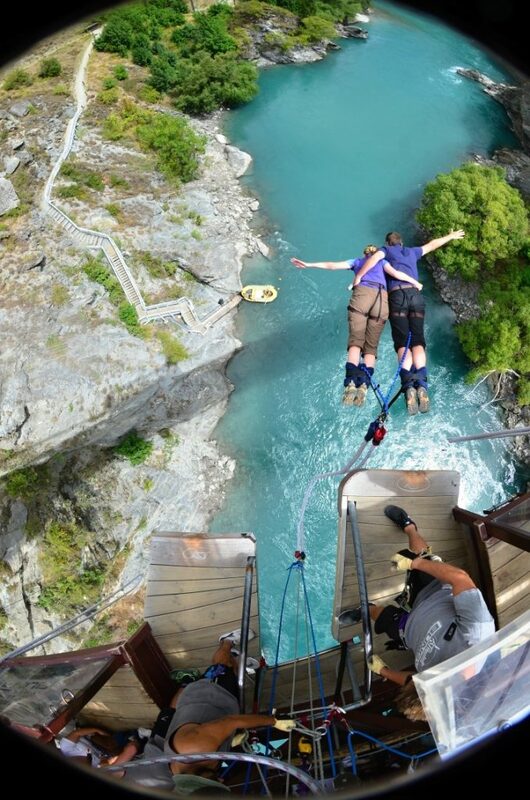 New Zealand, which is considered the birthplace of bungy jumping, was the perfect place to do it for the first time. In the end, we did a few jumps. We started on the famous Kawarau Bridge in Queenstown (43 metres/141 feet), which is the world’s first commercial bungy site. Petr jumped on his own first and we did our tandem jump afterwards. This was an incredible experience for us as a couple. Then Petr conquered the Nevis Bungy, New Zealand’s highest bungy (134 metres/440 feet) – making it three jumps within one day. When we got to Auckland, we didn’t want to miss the Auckland Bridge Bungy (40 metres/131 feet), the world’s first harbour bridge bungy, because Kat wanted to make the jump on her own – and she did. We both went for the ocean touch (Petr dived up to his knees, Kat up to her waist) and Petr jumped backwards to make it even more fun. We are really proud of this achievement because it was really challenging. This was one of the best hikes we have ever done. 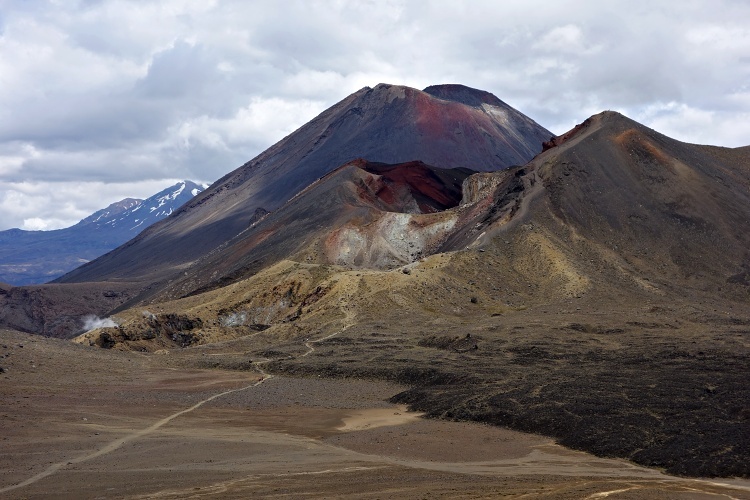 Tongariro Alpine Crossing is called the best one-day trek in New Zealand. We loved hiking among active volcanoes and soaking up incredible sceneries. The Red Crater and Blue Lake looked unreal. Unfortunately, we didn’t plan the trip well and we didn’t manage to walk the whole trail because of lack of time so we will have to go back another day. We had been always curious what it was like to travel in a motorhome but the rental prices were out of our reach. 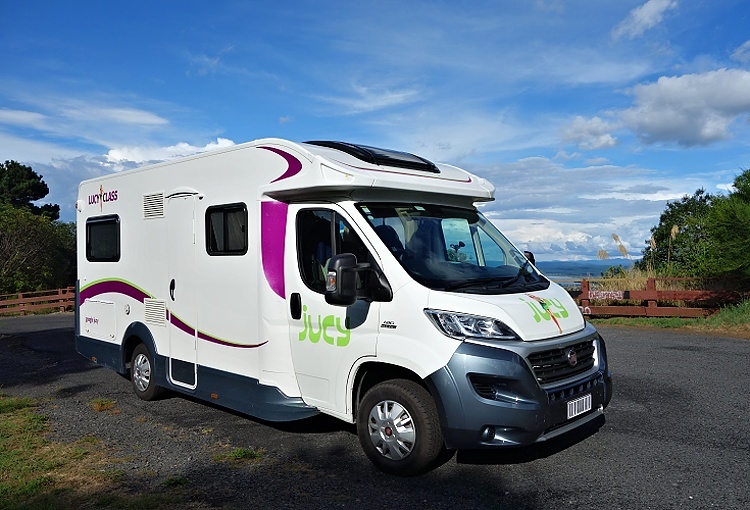 Then we discovered relocations in New Zealand and managed to get a motorhome for a fraction of its usual costs. It was a completely different type of travelling than we were used to – much slower. We felt like kings of the road in this oversized vehicle and it was so convenient to have all the equipment with us all the time. We would do it again in the blink of an eye. Finally, after living in Ireland for over 11 years we got to see the Aran Islands. We visited the largest island – Inishmore. The best way to explore the island is on a bike (weather permitting). We were lucky and arrived on a beautiful sunny day. We even got a little sunburnt, which doesn’t happen very often in Ireland. We cycled around the island and explored its rough landscape. 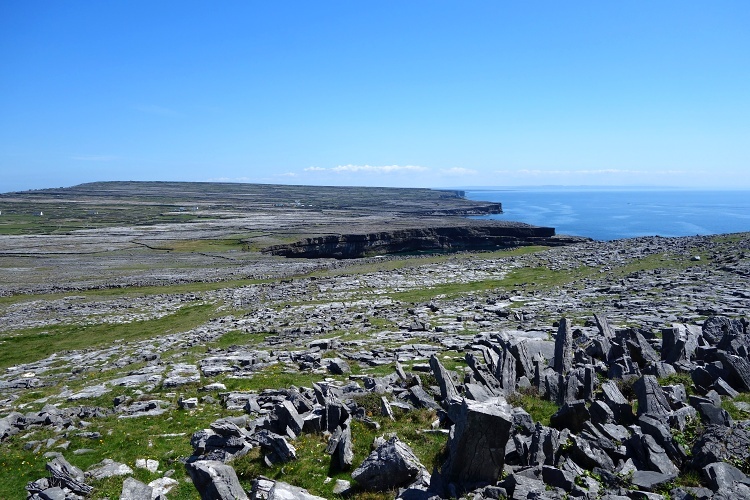 The dramatic views from the Dun Aengus fort, which is located on the sheer cliffs, were unforgettable. The Loop Head Peninsula, which is located on the west coast of Ireland, doesn’t get as much attention as other sites in the area. It is a little away from the famous Wild Atlantic Way and that’s why many tourists don’t get there. But that’s why this place is so beautiful – it is not as busy as other attractions that are more heavily promoted and you can enjoy the beauty of the rugged coast without the crowds. 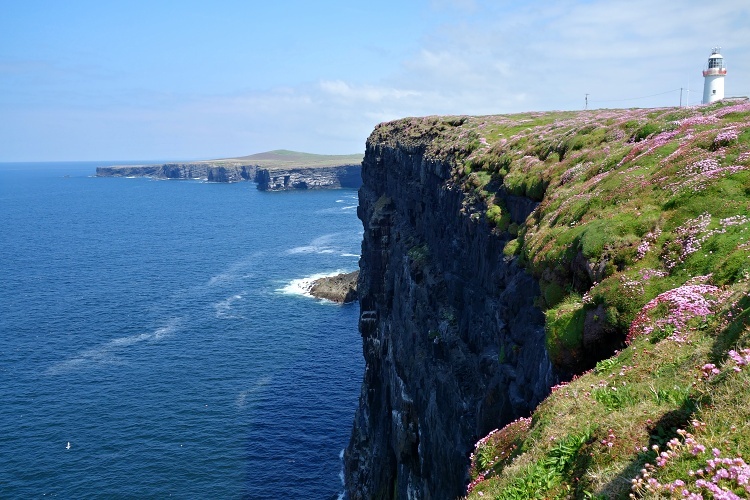 There are many walking paths in the area and we especially loved walking around the Loop Head Lighthouse, Bridges of Ross and Kilkee Cliffs – the views were stunning. Starting our own travel blog was the biggest adventure of 2016. After months of writing, photo editing and putting the website together (with help of our friend David Relich) we launched our blog at the beginning of August. The responses varied – some people were surprised, but most weren’t – they said that it was only a matter of time. 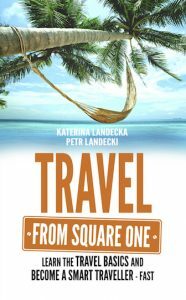 After over a decade of travelling the world and working in the travel industry (Kat used to work as a travel agent, Petr as a flight dispatcher) we had so much to share and write about. Even though running a blog is much harder than it looks and the never-ending amount of work might be overwhelming, we feel that we are going in the right direction. We can help even more people to enjoy travelling and make their lives more exciting. When we headed to the east coast of Canada, we originally planned to stay only in the province of Ontario. But the Canadian crew on the transatlantic flight convinced us not to miss Quebec. We were so glad we took their advice! This province, where French is the official language, doesn’t get as much attention as Ontario and that’s why it is not as crowded. It’s quite a long drive from Toronto – but so worth it! 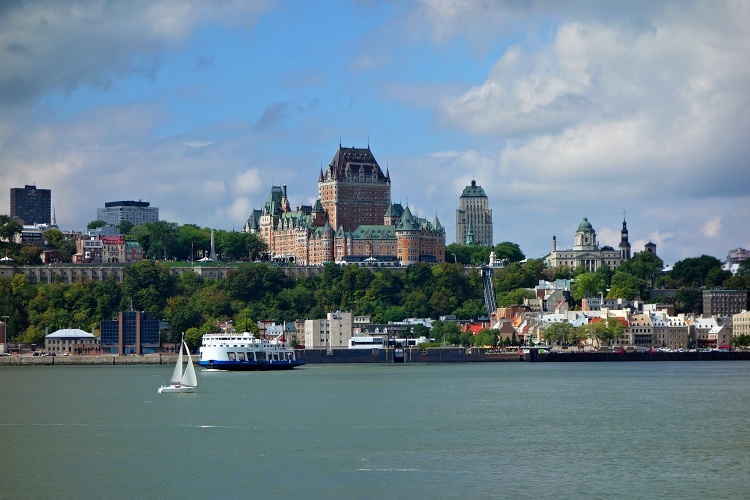 Quebec City, the capital of the province, was one of the most charming cities we have seen. 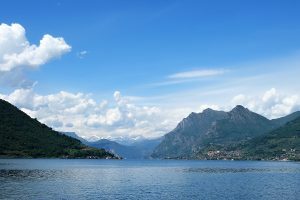 But the main gem is the unspoilt nature – large forests, mountains, waterfalls, lakes, rivers, etc. Perfect for outdoor lovers like us! The Niagara Falls are not the highest waterfalls, but they are rather wide. The combined water flow rate is the highest in the world. 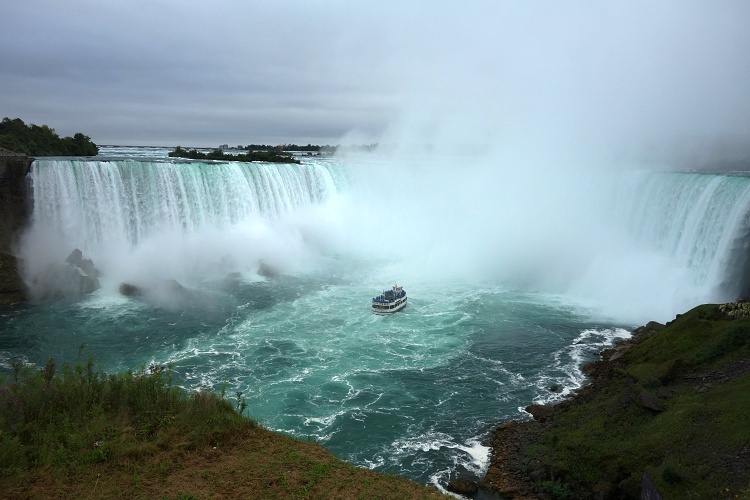 The most impressive falls are located on the Canadian side (Horseshoe Falls) and there are two more falls located on the American side (American Falls, Bridal Veil Falls). Even though the views were better on the Canadian side, the town was tacky and lacked any charm. We preferred the American side where the waterfalls were surrounded by a nice park. We really enjoyed wandering around and watching the falls from different viewpoints. 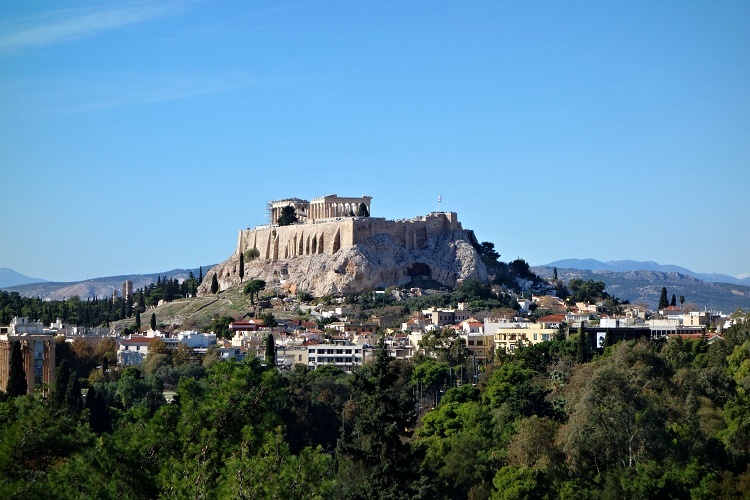 Athens, the capital of Greece, is a vibrant city full of history, amazing architecture, great people and delicious food. It is a shame that Athens doesn’t get as much attention as the other European capitals. The city doesn’t have a great reputation and we didn’t know what to expect. But we were pleasantly surprised and we fell in love with Athens instantly. Walking around the landmarks of the historic centre and exploring the ancient temples of the Acropolis was incredible. We also loved how lively the city centre became in the evening. Not to mention yummy and cheap gyros, souvlaki and kebab! 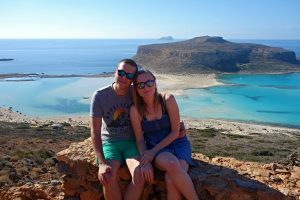 The island of Santorini is a dream destination for many people and we decided to check it out on our travels in Greece. 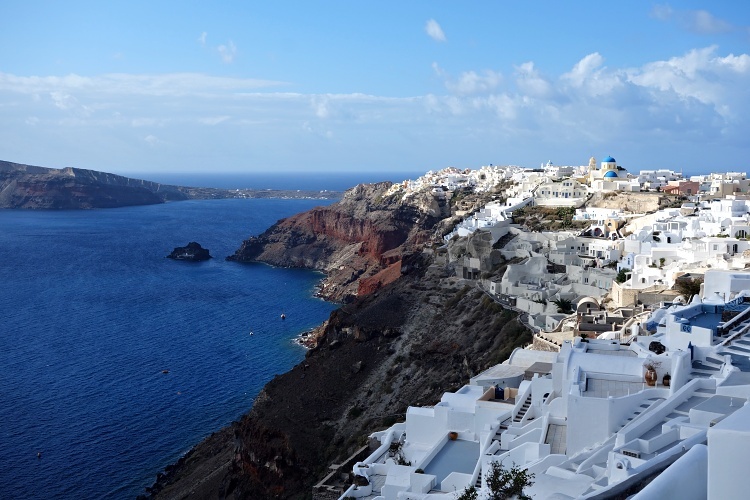 In the end, our favourite part of the trip wasn’t the famous sunset, even though it really is beautiful, but the scenic hike between two main towns – Fira and Oia. 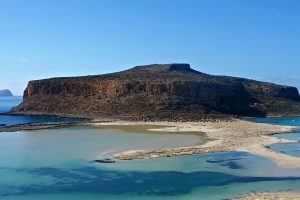 We really enjoyed walking through picturesque villages, passing by whitewashed houses and churches with blue roofs, taking in the amazing views of the incredibly blue sea and exploring the volcanic caldera. Our last trip of 2016 was in the Czech Republic where we travelled to see our family and friends. 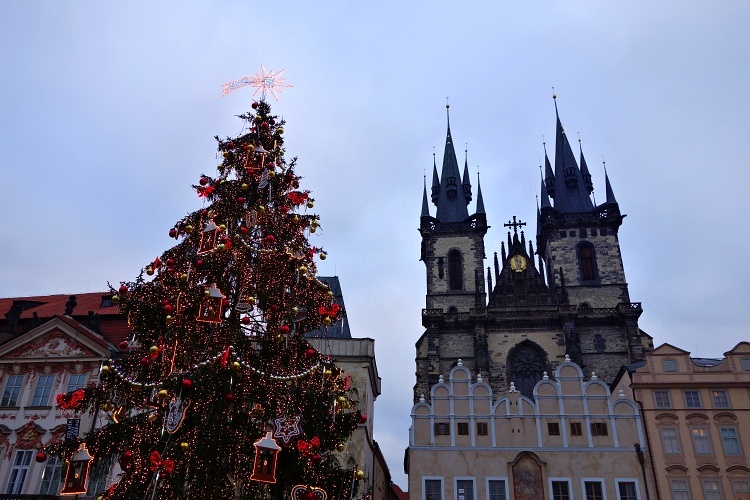 We stopped in Prague to visit the Christmas markets first. We have been there many times but we still love coming back. It doesn’t get any more Christmassy than wandering around the wooden stalls, sipping mulled wine, eating trdelnik (traditional pastry) and listening to Christmas carols. The only downside was that there was no snow this year, which would make the atmosphere even more magical, but we enjoyed visiting Prague as always. We have big plans in 2017 and we are thinking about making a few significant changes in our lives. But, we won’t spill the beans yet because there are just too many variables involved at the moment. Our priority number one in 2017 is to finally publish our first book because it took much longer than we expected. We are also planning to make some changes on our blog to make it more ‘adventurous’. As for our travel plans, we don’t have anything booked yet because we don’t plan far ahead. 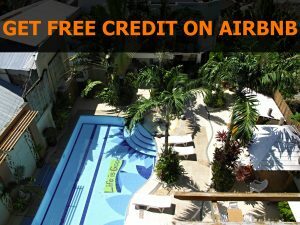 We usually make bookings just a few weeks or even days before departure because we like being flexible and spontaneous (and grabbing special deals). But we are thinking about a few road trips in Ireland, the mainland of Europe and also one big long haul adventure. But one thing won’t change this year – we will still keep chasing our dreams and doing what we love. It won’t be easy but it will be a great adventure – that’s for sure! What about your plans in 2017? Are you a planner or do you prefer to go with the flow? Wow, what a year! Truly the travel blog is a big adventure. I have yet to fully dedicate focus on it but this is the year I make it happen! Thank you for sharing! Looking forward to your 2017 adventures! Thanks, Bianca! So true – blogging is a great adventure and a lot of work 🙂 What are your plans for 2017?